Korea clinched the East Asia (Twenty20) Cup title, defeating Japan by 4 wickets with an over to spare in a tense final at Sano International Cricket Ground in Kanto, Japan on Monday (November 7). Disciplined bowling by Korea restricted Japan to 100 for 7 in its 20 overs, with Lee Kangmin and Jun Hyunwoo picking up two wickets apiece. In the second half, Hyunwoo, the captain of the Korea team, went on to top score with 26 to cap a fine all-round performance as Korea reached 101 for 6 at the end of the 19th over. The game was attended by several hundred people, and was viewed by 14,000 people via live stream, according to a statement from Japan Cricket Association. Japan, coming into the final after a 10-wicket win over Korea in the group stage, was unable to generate momentum on winning the toss and batting first. Masaomi Kobayashi, the Japan captain who finished as the highest scorer in the tournament with 111 runs at an average of 37, top scored with a 32-ball 22, while Marcus Thurgate and Ryoya Tsutsui contributed 16 runs each, the latter remaining unbeaten. But the regular strikes hampered Japan’s momentum. What looked like a small chase on paper had several tense moments for Korea. Lee Hyosing (4 in 12 balls) and Lim Jeongwook (7 in 21) fell cheaply. And when Lim Kangmin (20 from 24) was dismissed, things started looking tricky. 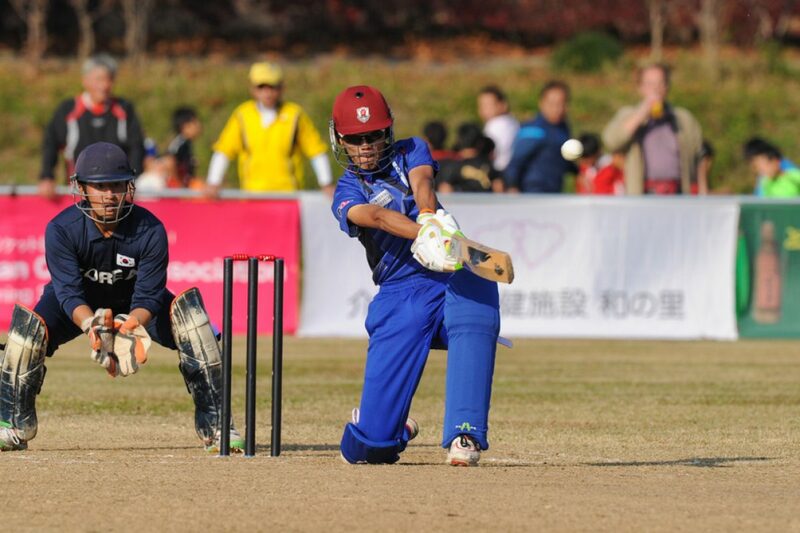 However, Hyunwoo led from the front, scoring a 25-ball 26 before becoming Mian Siddique's fourth wicket. Siddique, the 16-year-old right-arm seamer, finished with 4 for 12 to give Korea a real scare in the middle overs. Kohei Wakita, the right-arm seamer, also threatened Korea's chase with 2 for 17 from four overs – he finished with 10 wickets, making him the top wicket-taker in the tournament. 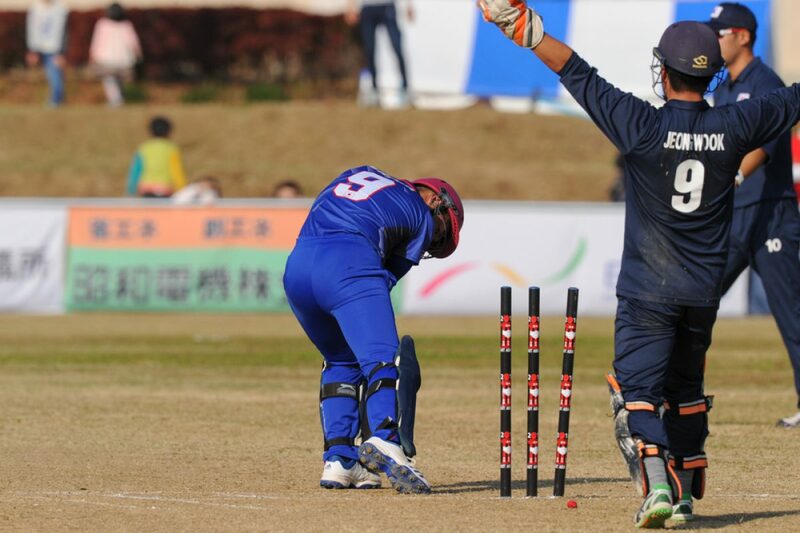 When Hyunwoo fell, Korea was stuttering at 64 for 5, but Sung Dae Sik scored a composed, unbeaten 13-ball 18, hitting three boundaries, to see Korea over the line. David Reid, the Japan coach, was happy to focus on the positives and stressed that the youthfulness of the side meant they could stick together and grow as a unit. “This squad could stay together for ten years potentially,” he said after the game. “Only three of these guys are over 21 and even the captain is in great shape at 34 and has plenty to give.